We are at the edge of the beginning of a New Year. It’s hardly 12 days to bid 2018 and celebrations have already set its place for welcoming New Year. Every office space and homes are lit with lights, filled with presents and gifts, excitedly waiting for New Year 2019. A blank calendar full of possibilities and potentials is awaiting each individual. You might have gone through many articles suggesting New Year resolutions on your health, how to organize your home and other places. New Year Resolution comes as an inevitable phenomenon to every individual, no matter how old are they. Like many, every year I too take some time to introspect myself on resolutions from the previous year, and later come up with some new goals and aspirations for the coming year. This year, I would like to contribute few suggestions to HR Managers. Some interesting New Year Resolution for HR Managers for attaining a happy and satisfied workforce. Like setting personal goals, it’s equally important to keep organizational goals at the beginning of New Year. It creates a sense of positivity and enthusiasm within to showcase the best. If you haven’t thought about or taken much time to frame goals for your professional life, here I enlist a few tricks to start off your new beginning in the right way. When you make a decision which turns favorable and productive, it really turns out to be useful. In the workplace, decision making is an art which HR can perform through subtle techniques. In this coming year, the HR can make use of screening tools and assessments for the betterment of the company. Better assessments will always lead to effective performance and thereby boosting the company growth. So HR should really make use of screening tools and assessment technique so that he can make the company grow to the next level. Interviewing and selecting the right person is a necessity for the smooth running of a firm. Every HR think that he has got the capability to analyze and determine the nature of a candidate and it is based on this analyzation, candidates are selected into a company. But in reality, this is the area where most of the mistakes take place. Biased opinions always pop up during the interview process and as a result, many unfit profiles make an entry to the workplace, reducing workplace stability. Clearing this unproductive and inaccurate methodology of interviewing shall be the next resolution of HR. From this new-year, the HR can make use of behavior interviews and train himself/herself to be fit to conduct effective interviews and thereby bringing qualitative changes in the overall recruitment process. Thus, eliminating an unfit candidate will avoid ordeals such as replacement cost, time loss, negative outcomes, less productivity etc. Technology is always a boon for the HR department. An HR department which can’t blend up with the technology will always underperform and that is a proven fact. On the other hand, the HR departments which utilize the digital technology to its maximum brings out the most productive results. So this shall be the next resolution, the HR department should take in this New Year, that is to effectively use the digital technology. 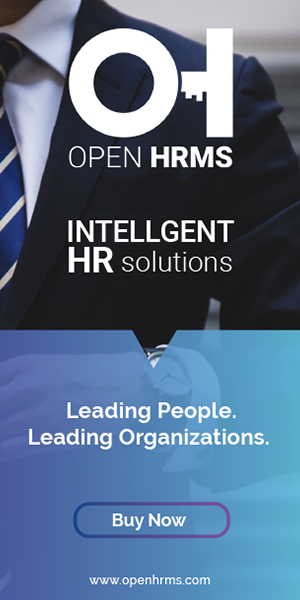 There is HR software out there in the market which can make the job of HR so easy, so in the coming year HR can make use of such software and upgrade themselves to a better level. The main advantage of using the backup of digital technology in the HR department is that it will improve the efficiency of HR and also reduce a lot of errors which usually happen from the HR side. Getting an employee won’t make much of a difference in the case of a firm. The HR should train and develop him to be a perfect team player and a productive asset for the company. In most of the cases the training and development section of HR just become a farce. This is the reason why employees lose their track within a few months of working. So the next resolution shall be regarding the training and development of employees. Real-time learning, training, and development shall be provided to employees from this New Year. For this HR can make use of digital technology also. Also keeping the track of employees during the training period shall also be beneficial for understanding his/her performance. This ensures that he is really getting into the matters of the company. Providing a proper work schedule to the employees is very much appreciable. The HR can take his New Year resolution on this area too. The main reason why employees show a reduced performance is due to the improper work-life balance. By providing a proper work schedule the HR can make sure the work-life balance of the employee is maintained. HR can put forward new strategies from proper analyzing to create a flexible work schedule for the employees. This will ensure the employees will work to their fullest bringing fruitful outcome to the company. This is a must to take resolution for HR. Feedbacks are always important for the development of an employee. Negative feedbacks are not appreciated as they will reduce productivity. But providing positive feedbacks to employees will always make them active and sharp. Employees getting positive feedbacks will surely be a proper work tool for the firm. So HR can analyze the performance of employees and provide them the proper feedback for the betterment of their performance. This shall be done on a regular basis to bring out the maximum efficiency of employees. Payroll is something which takes a major time of the HR. So starting from the New Year changes shall be introduced to make the payroll process smooth and easy. By an effective study of payroll structure an HR can definitely try out new methods which make the system efficient and effective, also along with the help of HR software payroll process can be handled without much trouble. Knowing the industry trends and planning activities accordingly should be a very important resolution HR should take on this New Year. Going along with the industry trends will keep business updated and fresh. For making this possible HR can make use of industry related blogs, podcasts, professional association etc. Joining a group of related individuals will always keep us updated about activities happening in our sector. In the coming year, HR can join various HR associations and thus know about the latest techniques happening in the sector. With this HR can boost his performance and thereby increase the standard of the company. The HR department is always associated with risks. There will be some or the other mistakes happening in the HR department. The HR can take a resolution that he will minimize these kinds of risks and ensure proper functioning of the department in the coming year. To make this possible HR can use various methods. Background checks and drug testing shall be conducted during the hiring stage, also activities like diversity training, harassment training, employee survey etc. can be conducted to reduce the risk factor. With all these resolutions practiced in work-life let all the HR’s make the coming year a highly successful one.